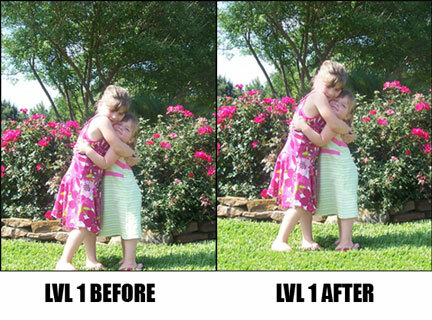 As a FREE offer to you, we will convert your image to either a Black & White or Sepia tone. Both effects can add depth and feeling to your image. Our PixelBrush™ effect is truly unique. Our artists can turn your favorite image into an oil painting masterpiece, complete with brushstrokes. Choose this when reproducing portrait style photographs where the subjects’ faces are prominent or any time you want a beautiful, painterly effect. Does your artistic ability begin and end with stick figures? Our artists can transform your image into either a graphite or colored pencil sketch. These effects are fun and add a lot of personality to your image. 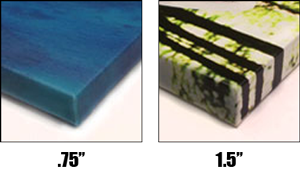 Thin Wrap - Your canvas is wrapped around a .75" stretcher bar. Perfect if planning on framing and a more affordable cost option. Thick Wrap - Your canvas is wrapped around a 1.5" stretcher bar. This option is best if you plan on hanging your print without a frame. The thicker stretcher bar gives a museum-quality look to your print.